Published in: Børgesen, F. (1933). Some Indian green and brown algae especially from the shores of the Presidency of Bombay  III. Journal of the Indian Botanical Society 12: 1-16, 7 figs, Plates I-V. The type species (holotype) of the genus Chamaedoris is Chamaedoris annulata (Lamarck) Montagne. Type locality: Dwarka, Gujarat, India (Silva, Basson & Moe 1996: 791). Holotype: Borgesen 5447; C (: 202). Notes: Leliaert et al. (2007: 714) note that there are four specimens in the type material. The largest specimen ( fig. 6) is designated by them as lectotype; the others becoming isolectotypes. Leliaert, F., Millar, A.J.K., Vlaeminck, C. & Coppejans, E. (2007). 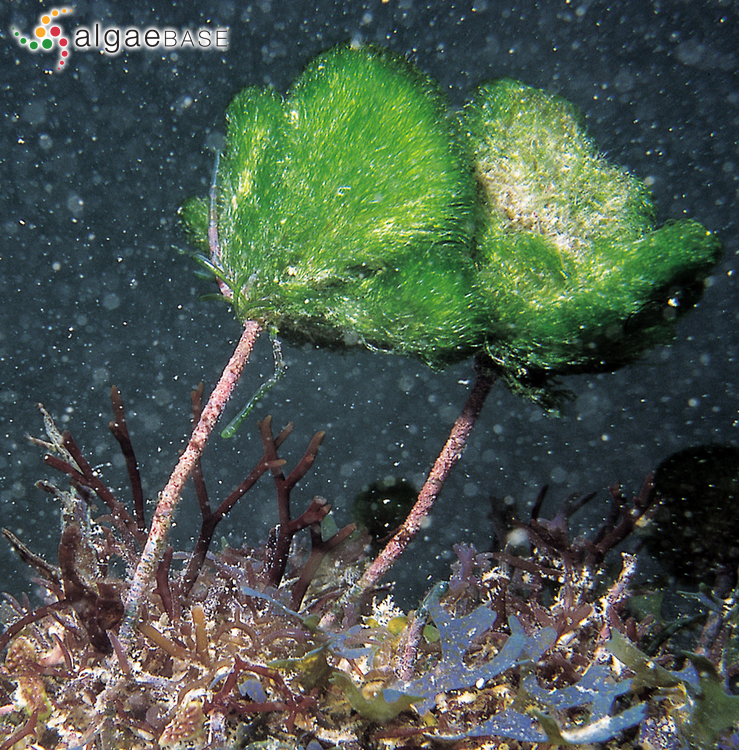 Systematics of the green macroalgal genus Chamaedoris Montagne (Siphonocladales), with an emended description of the genus Struvea Sonder. Phycologia 46: 709-725. Accesses: This record has been accessed by users 824 times since it was created.